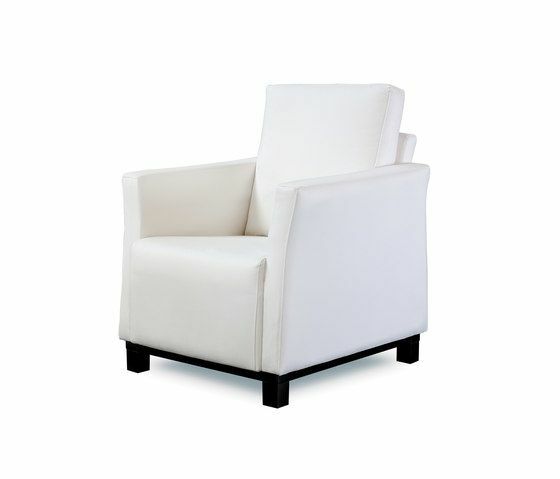 Armchair in a contemporary style, with compact shape that allows to place it in any environment. Two leg options, wooden baseboard in one piece or four legs. Legs can be wood or steel. Backrest cushion upholstery removable. MATERIALS: – Solid wood frame, covered by HRD 30 kg/m3 foam. Suspension made with elastic Nea webbing, guarantee of quality 10 years. – Seat cushion in HR 35 kg/m3 foam. Covered in thermo-sealed H250gr fibre. – Back cushion in HR 30kg/m3 foam covered in thermo-sealed H250gr fibre. – Leg p-56 chromed metal, p-21 beech wood.